If you are visiting Kenya, please drop by the showroom on Ngong Road. 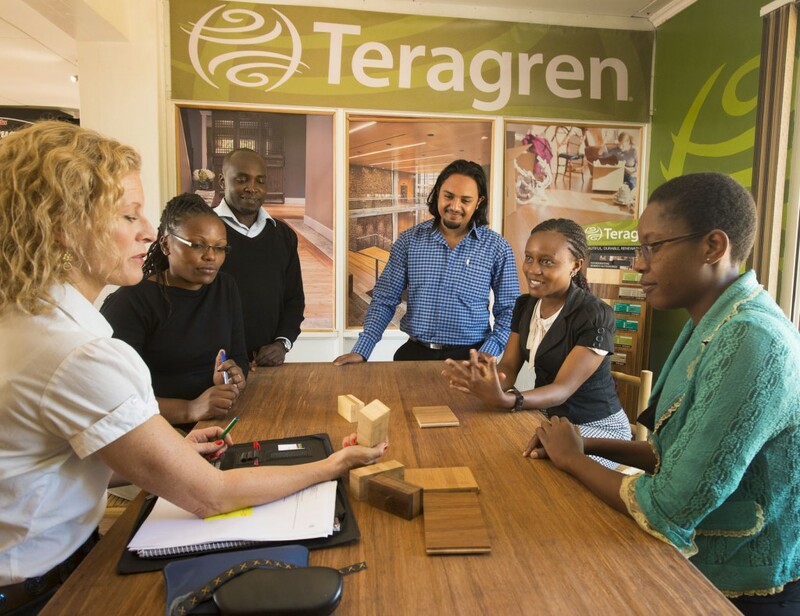 This is the first bamboo-product showroom of its kind in Kenya, and Eastern Africa. Here you will find high end Teragren® bamboo flooring, panels and countertops, as well as some examples of locally-produced bamboo furniture and artefacts. Why Teragren® bamboo? Because it represent the highest quality bamboo flooring on the market today, and is the only bamboo flooring you can purchase in East Africa that has all environmental certifications in order and documents, including related to varnish, glue, production lines, and indoor air quality. Teragren products qualify for LEED certification under the US Green Building Council. Harder than oak and mahogany, bamboo flooring, tiles, and counter-tops are a good, responsible substitute for other hardwood products from Africa’s last remaining rainforests and woodlands.